The heavy rain prevented me from going to the big market today, so I just bought what I need from the nearby flea market. 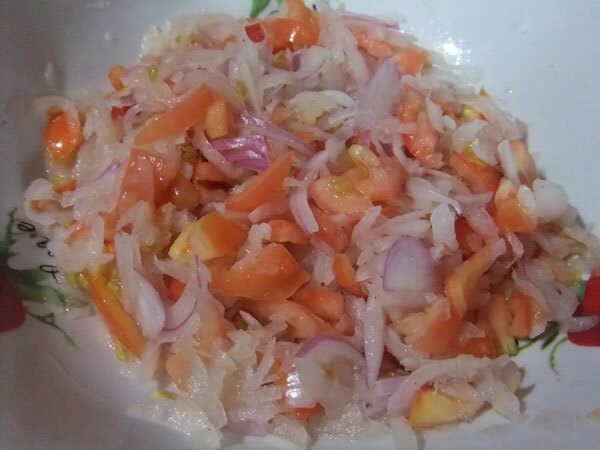 I purchased more than a kilo of galunggong (round scad) and radish, tomatoes and onion for the salad. Galunggong is so versatile you can do a lot with it. But today I simply fry the fish and pair it with radish salad (hubby’s fave salad actually). This is just a mixture of radish, onions, tomatoes, and condiments like vinegar, salt and pepper, and a small amount of sugar. This is what we have for lunch and dinner today. Sarap! 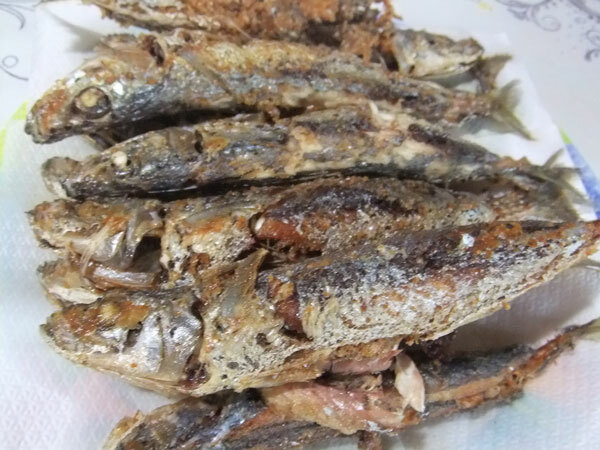 This entry was posted in Favorite Food and tagged fried scad, galunggong, luto sa galunggong, prito galunggong, raddish salad, raddish tomato onion salad on September 26, 2011 by Yami.